The property is a three storey, four bay Giffnock sandstone faced palazzo style block. Round headed ground floor windows are typical of the period and are topped with a cornice supported on scrolled brackets with carved heads. Segmental headed aedicules frame the first floor windows. 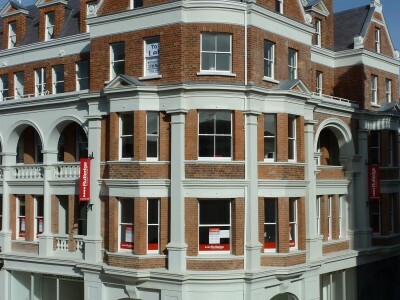 Upper floor windows rest on a continuous cill string course and the façade is topped with a robust bracketed cornice. 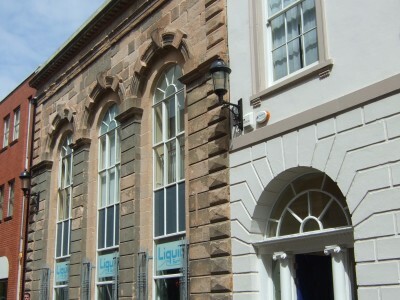 Prior to intervention the ground floor front façade was modified in the 1980’s to facilitate multiple usage and to provide disabled access. 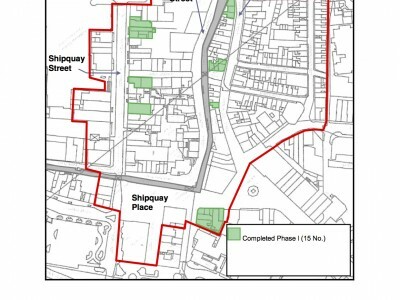 The property is located Shipquay Street which was laid out at the formation of the Walled City in the early 17th century. 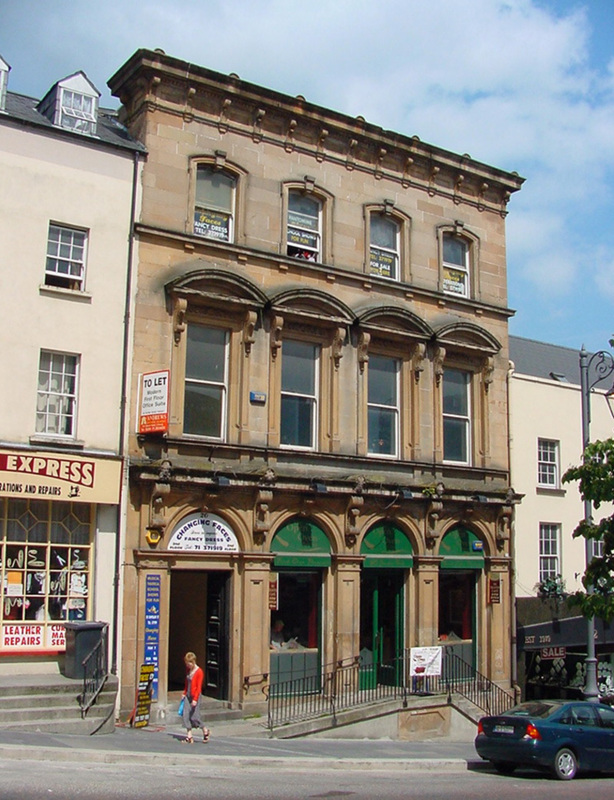 Shipquay Street was named in 1780 having formerly been known as Silver Street from as early as 1622. 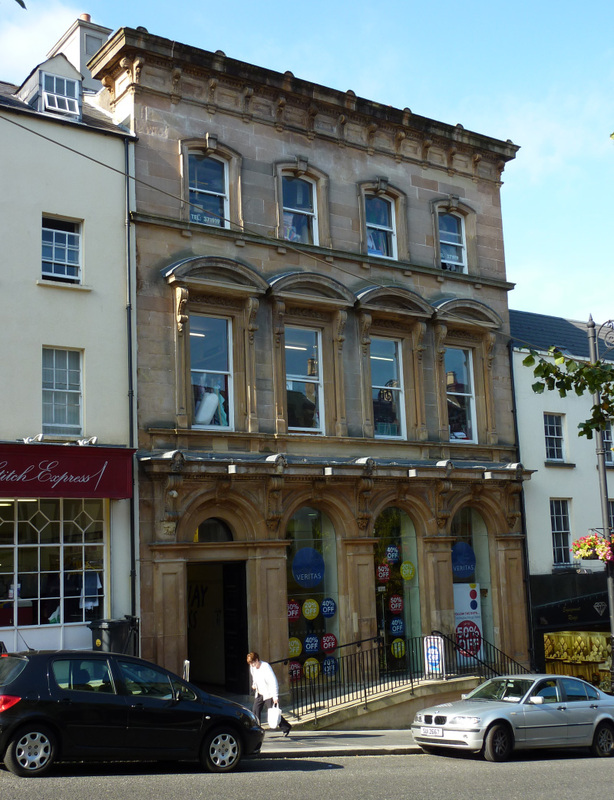 The property was designed by Sandham Symes of Dublin and constructed for the Bank of Ireland in 1868 by Fergusons of Pump Street. 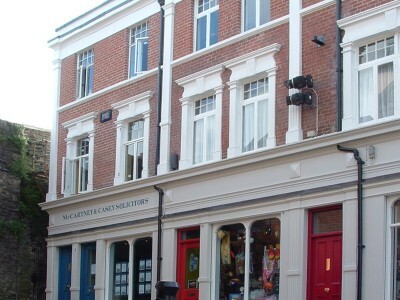 The site originally extended through to Magazine Street where the original sub manager’s house remains at No14.